City Lights Books, 9780872867307, 300pp. Melvin A. Goodman served as a senior analyst and Division Chief at the CIA from 1966 to 1990. His writing has appeared in the New York Times, Washington Post, Harper's, and many others. 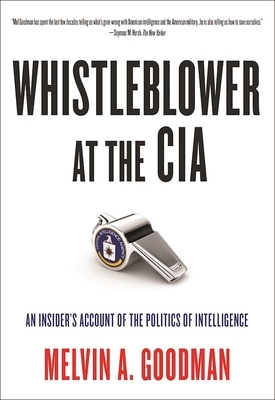 He is author of six books on US intelligence and international security. Melvin A. Goodman: During his 42-year government career Goodman served official positions in the CIA, Army, State Dept. and Dept of Defense. Senior fellow at the Center for International Policy and an adjunct professor at Johns Hopkins, he is author of "National Insecurity: The Cost of American Militarism" (with City Lights) and "Failure of Intelligence: The Decline and Fall of the CIA."